"Stressful, that’s how my day started off at 5:30am in San Antonio, Texas. My truck was loaded with all fishing equipment and camping gear necessary for a successful trip for some bank fishing." Stressful, that’s how my day started off at 5:30am in San Antonio, Texas. My truck was loaded with all fishing equipment and camping gear necessary for a successful trip for some bank fishing. 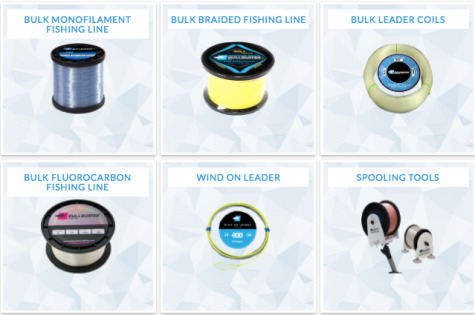 Reels were spooled the night before with my shipment of 25lb Bull Busters Premium Monofilament which is what I prefer to use on all my setups of surf rods and reels. While on the way to the lake I stopped for morning tacos and some ice for future fishing to be caught. Fishing is what I had all in my mind, just needed to put some lines out with fresh bait. "After scavenging the lake and finding fellow fisherman and other Bullbuster Ambassador Chris Meza, we made a game plan if we couldn’t get a great spot on the bank we were to head to lake number 2." Once arriving to my destination south of San Antonio on IH-37 sits Brauniq Lake. Sat in line for about 10 minutes then realized that the lake was packed and it was going be hard to find a good spot. After scavenging the lake and finding fellow fisherman and other Bullbuster Ambassador Chris Meza, we made a game plan if we couldn’t get a great spot on the bank we were to head to lake number 2 about 10 miles away on Loop 1604 SE to Calaveras Lake. When all was settled we made our way to Calaveras lake to fish these waters in hope of getting some better luck on our side. As soon as we were settled in I pulled out my rods and reels and casted each of them about 10 times to get the new Bull busters Premium mono settled in properly, and was very impressed with it on my 12ft rods with a 4oz Torpedo weight, was pushing over 100yrds and was spooling out of my convectional reels beautifully. "BAM, rod is bent over and drag screaming and friends all hyped and had me rushing to pull them out of rod holder because I was hooked to a Monster"
So after fishing Calaveras lake for about 4 hours we decided to head back to Brauniq lake and see if we could get lucky and sure enough we found our favorite spot empty so we set up camp and lined up all the rods once again. This time I made leaders with bull busters 100lb mono and 100lb crimps with a 7/0 Circle hook. At this point we were ready and hoping for a better outcome. After searching for live bait were managed to find Yellow tailed shad, gizzard shads, sun perch and 8inch Tilapias for bait with the cast net and had live crawfish and head on shrimp on ice. After putting out all 6 rods with different baits which was very stressful because of 17mph winds we managed to find a break with in 7 hours of fishing Brauniq lake where the wind calmed down to nothing for about 20 minutes and we re-baited and a few minutes later with having all baits over 100 yards out and loosing my favorite aluminum fish ruler and lots of patience because mother nature was being brutal…. BAM, rod is bent over and drag screaming and friends all hyped and had me rushing to pull them out of rod holder because I was hooked to a Monster. After feeling the full force of this fish I new it was going to be a big ones and I knew I was going to really test the strength of my new monofilament and just like the reviews and everything good I’ve heard and a couple of minutes fighting the fish the line did not fail me. My 25lb mono and 100lb leader helped me pull in a 35.6 inch redfish and plenty more threw out the night. It was a blast being able to really test these fishing lines and leader and terminal tackle with my fishes caught that day but also casting long distances with it. It held up its own and its name. No memory on the line and even after bird nesting my conventional reel it still flowed off the reels very nicely like nothing, Overall a good day and night of fishing with friend’s, family and fellow ambassador.